The Leader in Cloud Call Centre Software | 8x8, Inc. Improve customer interactions and agent productivity with our powerful, easy-to-use contact centre software in the cloud. Cloud call centre software enables businesses of all sizes to offer customer support for their products and services at a fraction of the up-front cost of deploying an on-premise phone system. With only an internet connection and a computer, the hosted service provides inbound call and outbound call capabilities. Multichannel and omnichannel features can be added, creating a cloud contact centre with text, chat, and social media support to supplement the traditional call centre functions. Given the advantages of real time, on-demand support for customer communications, a cloud-based contact centre is deployed for a diverse mix of client and business needs. The advantage of a cloud-based call centre solution is immediate scalability. 8x8 has developed two customizable solutions tailored to fit to your business needs. A new 8x8 contact centre handles inbound and outbound calls on the channel chosen by the customer. With 8x8, your contact centre is instantly scalable, and performance is detailed across numerous metrics and the data is accessible in an instant. This combination of omnichannel capabilities and contact centre management is strengthened by third-party tested data security and protection. Call centre software is an investment in building a compelling customer experience. The 8x8 CCaaS solution turns that investment into a competitive advantage. The 8x8 Virtual Contact Centre includes a full array of omnichannel tools to supplement large inbound call centre, outbound call centre, and hybrid operations. 8x8 proprietary features like FAQ Knowledge, Personal Agent Connect, and Customer Experience put you in the driver’s seat with unprecedented levels of insight into agent performance and customer satisfaction. Add agents or route calls directly from your Virtual Contact Centre dashboard, plus get instant stats on queue times and call length. ContactNow is the comprehensive, ready-to-deploy contact centre solution for small business. Set up your account in minutes and immediately access tools for outbound call campaigns and basic inbound call services. ContactNow connects business owners and managers to their call centre in real time with customizable dashboards and a mobile app for monitoring performance. 8x8 understands a call centre is your front line for outreach and customer engagement efforts, which is why we built an intuitive contact centre solution that makes customer service the top priority. With our tools your customers are more engaged and connected than ever before. But we don’t leave all the excellent service up to you—8x8 is the leader in customer experience for call centre software solutions. With Elite Touch Implementation Services for Virtual Contact Centre, 8x8 will accelerate your deployment regardless of your business size or project complexity. We help you realize the fastest time to value—from single-site deployments to complex requirements involving multiple sites, global implementations, and CRM integrations or other business applications. We’ve handled more than 50,000 implementations; let us handle yours. The customer support landscape is changing. Businesses must be prepared to respond to customer needs in real time and on a customer’s channel of choice.  8x8 ensures that your cloud contact centre solution improves customer interactions while creating important cost savings through consolidation. 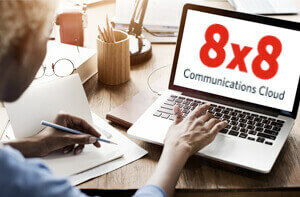 The 8x8 Virtual Contact Centre enhances typical virtual call centre capabilities with our best-in-class Voice Over Internet Protocol (VOIP) technology. Our ability to bring so many solutions on to one platform is why Gartner has rated 8x8 as a leader in Unified Communications (UC) for seven years running. Your call centre is more than a digital switchboard for outreach or support. It is the life blood of your customer relationships. 8x8 empowers every call centre agent with a suite of secure, reliable, and powerful contact centre software features designed to put you in control. Imagine serving customers without ever putting them on hold. With 8x8 Virtual Contact Centre and ContactNow, customers can request to talk to an agent using interactive voice response (IVR) or web callback. Call centre managers decide which agent is best qualified to assist and agents then initiate a call or chat session having reviewed customer call histories. IVR is a critical component of any contact centre. With IVR, customers get quick answers to simple questions, and companies identify the right agent to handle incoming calls. 8x8 provides two IVR solutions: Basic IVR: Easy-to-create menus, and simple self-service capabilities that allow the contact centre manager the agility to keep up with changing requirements through simple edits to the IVR flow. eIVR: A powerful, full-function IVR that can access data from multiple sources and support speech-driven applications. Turn call routing into skills based routing, allocating expertise and resources efficiently. 8x8 provides sophisticated logic for matching customers to the agent who can best solve their problems and a user interface that makes it easy to take advantage of this important capability. With 8x8’s custom dashboard you can assign agent expertise, identify priority customers, and even sort by channel of choice to align customer preferences with agent capacity. 8x8 Virtual Contact Centre employs CRM information to personalize customer interactions and significantly increase the efficiency of every call centre interaction. Utilize 8x8’s native CRM or benefit from comprehensive cross-functionality from inside Zendesk, Salesforce, Netsuite, Microsoft Dynamics and more. Maximize existing investments and receive automatic call logging and single click outbound dialing directly from your CRM with 8x8 integrations. Workforce management, training, and turnover can slow even the best run call centres. 8x8 helps you retain your knowledge base, scale your workforce as needed, and focus on your primary objectives – sales and customer satisfaction. Our proprietary FAQ Knowledge Base, Personal Agent Connect, and Customer Experience tools enhance existing call recording, auto dialer, predictive dialer, and call monitoring features. With less training time and data-driven results, 8x8 transforms agent productivity. The 8x8 Virtual Contact Centre is equipped to protect your most important information. Your FAQ Knowledge Base lets you easily search content with simple keyword queries, import answers easily from Word, Excel or PDF files, and even embed hyperlinks to provide customers with comprehensive answers to even the most complex questions. Supervisors share the same user interface as agents, supporting ongoing training and providing consistency across channels. All agents use the same tool to provide researched, consistent responses arranged by managers and updated across all consoles instantaneously. 8x8 Personal Agent Connect helps you build direct relationships with customers by swiftly and personally addressing customer issues. This feature enables your 8x8 Virtual Contact Centre to route customers to an agent directly via a unique agent phone number or through the “last agent called” feature, routing customers to the agent who created a ticket. Using your Customer Experience analytical tool you can map the complete caller journey and search all call centre customer interactions for targeted analysis. Customer Experience reveals the most common IVR paths utilized by customers and offers a dynamic view of IVR scripts highlighting caller abandon rates at different points in the IVR. This actionable intelligence lets you further optimize IVR design, reducing call queues and iterating on your design. With 8x8, workforce optimization is not just a goal, it is a feature. Old-school call centres require a huge upfront capital investment in on-site hardware and call centre software. But 8x8 cloud-based contact centres are different. Reliable, fast to deploy, and easy to manage, 8x8 call centre software solutions come with all the features you need to support customer service departments, telesales, help desks, and sales team. Cloud-based call centre software is nimble and easy to scale or customize. Adding or removing users is as simple as managing a digital subscription. No additional purchases, no extra hardware required. Our commitment to new technology underpins our success across every communication channel we support. 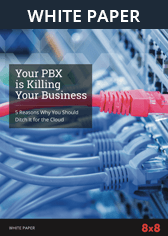 Read about our expertise in unified communications technologies like pbx, acd, IP telephony or see case studies detailing our real-world impact on bottom lines.